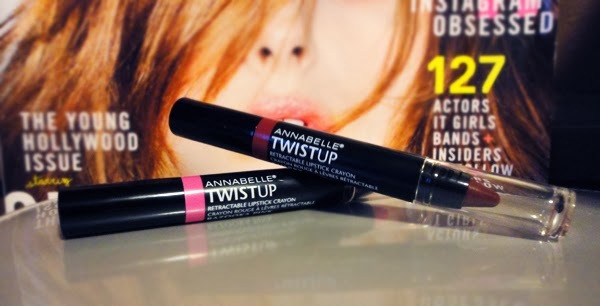 Ever since Annabelle TwistUp Retractable Lipstick Crayons were on sale on September 24th (all 24 colours for $24.00), they have been celebrating them with 24 days of TwistUp. There's a lot of 24s going on there. Everyone that was able to get their hands on the TwistUp crayons and selected bloggers have been posting pictures online of them wearing the colour of the day. I wasn't able to snag all 24 when the sale was on but it did inspire me to check out the new additions to the collection at my local drugstore. And when I saw they were on sale ($7.97CA), I knew I had to pick some up. The two that stood out to me were Bazooka Pink and Cherry. Bazooka Pink is definitely not a fall colour but once I swatched it I knew it needed to be mine. Today's colour in the 24 days of TwistUp just happens to be Bazooka Pink! Bazooka Pink is the perfect bubble gum pink, hence the name. It reminds me of those huge pieces of Double Bubble or Hubba Bubba gum we had as kids, and trying to fit as many pieces in your mouth at once. This lip colour is the exact colour of that gum. Cherry is definitely more of a fall colour. It is a beautiful deep, berry-toned red which I cannot wait to wear, especially with my new dark locks (yeah, I dyed my hair chocolate brown, check out my instagram over there >> for some pics!). 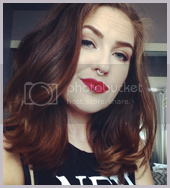 They also have a deep plum purple colour called Vamp that just might need to be added to my collection very soon. I have a serious weakness for vampy purples. The line is pretty comprehensive and definitely has something for every skin tone and desire. And I adore the packaging. Lip crayons are just so much easier to use than lipstick. You get a more precise line and crisper edges for sure. 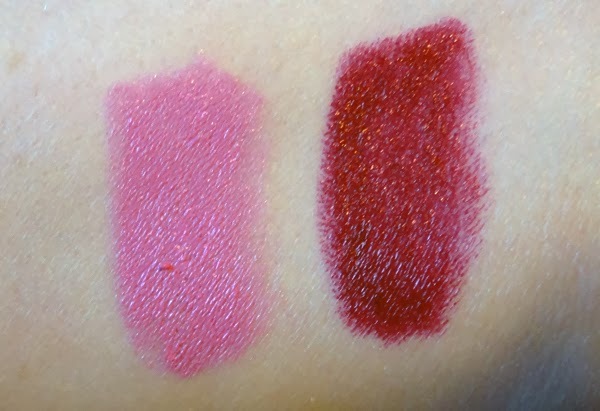 These lipsticks apply easily, are super smooth and are very hydrating on the lips. I have the driest lips around and these feel comfortable for hours on my lips. I wore Bazooka Pink the other day and after eating a meal some of the shine had gone down but the colour was still very much opaque. I think these are a great product for the price point and look beautiful on the lips. Annabelle is a Canadian company available in drugstores across the country. There are 24 shades in this range and Annabelle ships to the US on their website.